My painting from the day before yesterday (June 30th). I have to catch up my blog again. 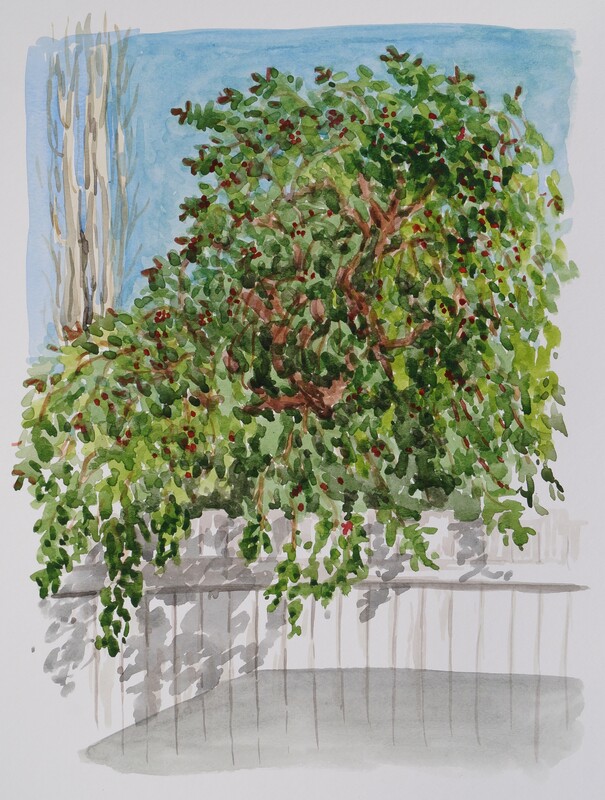 This was done on a work day so I painted the neighbor’s crabapple tree as seen from my deck. There weren’t many flower blossoms on the tree this year, but it looks like there will still be a lot of apples. And their aspen tree that is beside the crabapple did not get any leaves this year. I hope it has not died–I loved their aspen trees and hearing them rustling in the wind.